Old Testimonials link | Selling Dreams, not just homes! My husband and I recently relocated to San Mateo from Southern California. After several months of unsuccessfully searching for a home in the area, we met Nonnie, and things just clicked. She was able to match us with a home that fit our needs perfectly! And, because of her extensive experience and networking, she was able to find our new home before it was even officially listed. The sellers wanted a 30-day escrow, and Nonnie's detail orientation and follow-through made that work despite the geographical separation between us and the sellers. We are extremely satisfied with the home, the neighborhood, and our experience with Nonnie Dinges and her team! Thank you for making the process go so smoothly! I just wanted to take a moment to say how very, very much I appreciated the way you handled the sale of my house in San Mateo. Can't believe your energy! And knowledge and competence. And I so appreciated the way you stayed in touch at each step of the way. There was never any need for me to wonder what or if there was any action. Action? Fourteen offers within two days of going on the market? And we got well above asking! Thank you for selling our San Mateo home! Your expertise and level of preparation contributed to an exceedingly successful transaction. After twenty-nine years in the Aragon, we wanted to be certain that the sale of our home would be handled in a professional manner and that there would be maximum exposure to buyers. You surpassed our expectations. In our interview you were concise and clearly presented the steps necessary to market our home. You outlined what resources were available through your company and provided us with a binder of pertinent data and comparable sales in our neighborhood. You mapped out a timeline that expedited marketing our home while still accommodating our personal schedules and needs. You offered helpful suggestions regarding interior and exterior details that enhanced our property, and you widely advertised our home using the most recent technology. Our home sold on the first day, over asking price and we received a dollar amount that was greater per squart foot than all the recent sales in the Aragon! Your knowledge of legal requirements and your positive business relations with support people put us at ease when the transaction closed. Nonnie and Tiffany are an amazing team! From start to finish they handled everything for me. I have an incredibly demanding schedule and not a lot of down time to handle the multitude of paperwork and appointments that goes into selling a house. Nonnie & Tiffany were great! They worked with my schedule and never missed a single detail. They are THE experts in the Redwood Shores area, there was never a single day on the market I did not have multiple viewings of my house. Nonnie & Tiffany went above and beyond anything I would have ever expected of an Agent, they keep selling until the deal is closed. A truly remarkable attribute in today’s world. Acknowledging that Realtors are tremendoulsy overpaid, I came to the realization that they do a lot of behind-the-sceens legwork that we don't even see--and try to make the sale/purchase as effortless as possible, in which is why they get paid the big bucks. It's a lot of stress, but Nonnie was a phone call away at anytime to hold my hand (if I needed it) oh, and I did have a "melt down day." I think we'll all have them. Now our agent. Nonnie Dinges (if you shop at Safeway at 19th Ave., that's her picture) Anyway, tfor the month of September in all of San Mateo (including San Mateo Park, Baywood, et cetera), we had the highest selling price per square foot home ($615,00 for 1200 square feet of home.) My husband and I followed her advice and it sold rather quickly. Nonnie Dinges KNOWS San Mateo-- I think it's her specialty area. You have to talk to her and see what she says. If you are not in a rush to sell, tell her. If you want to get rid of it fast, tell her. If she has suggestions about selling, listen to her. Now is a great time to sell- interest rates are keeping people looking. Anyway, thanks for letting me carry on. 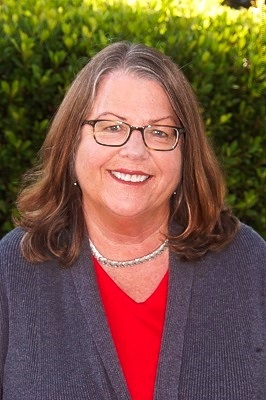 In short, if you are thinking of buying Real Estate in San Mateo County, call Nonnie Dinges. Thanks to Nonnie's comprehensive Real Estate knowledge and excellent negotiation skills, our San Mateo home sold just teo days after the first open house. I really appricated Nonnie's detailed checklist, her capable contacts, her 24/7 availability, and her calm, professional manner throughout the entire sales process. I would recommend Nonnie Dinges to anyone looking to buy or sell Real Estate on the Peninsula. She's the best!!! Nonnie, kitty sent u a small thank you .no amount or words can say enough, you help closing this chapter will always be remembered as stellar. You really are a top agent in every sense! And truly did barb and jer proud!